Once again Dubai becomes the centre for innovation in the Food and Beverage (F&B) industry as it hosts Gulfood 2018, and with that, once again Biz@India brings you an in-depth look at the burgeoning Indian F&B industry. Of the many aspects that Gulfood brings forth, the fact that innovation is key in this industry is at the heart of what the event stands for. 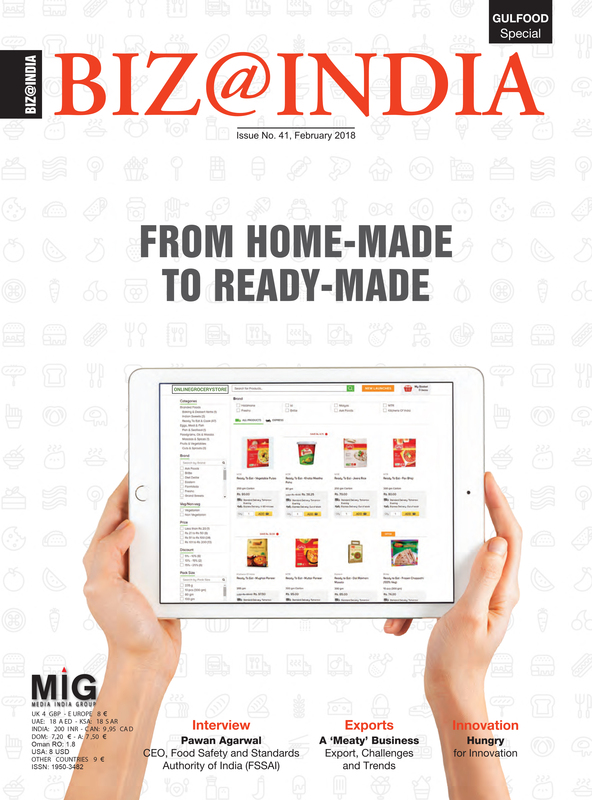 It is for this reason that we take a look at the various innovations in the Indian F&B industry and the different sectors pertaining to production and distribution while deciphering if the nation has been moving forward, fighting obstacles, staying stagnant or is it in fact regressing. To push India on to the global food map, World Food India 2017 provided a platform to network and collaborate with Indian and international businesses – packed with exhibitions, sector-specific seminars, a fusion food street and record-breaking cooking sessions. Marine products sector has been a major source for generating foreign exchange as the range of products are being diversified and developmental goals are being adopted to touch an all-time high of USD 5.78 billion in exports.